Maluco Security Group's private investigations division, operating for the last two decades, has established a well known reputation for meeting clients' investigative needs in a fast, effective manner at a modest price. The Maluco PI division consists of a number of highly skilled proffessionals all of whom are specialized in different fields, ranging from digital forensics and data recovey to surveillance and corporate counterintelligence. 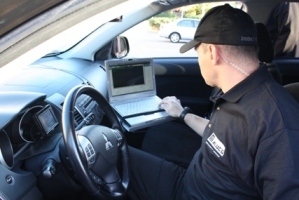 We are fully licensed for private investigation by the government of BC and it goes wihout saying that our employees of the investigative division are fully licensed as well. Our company portfolio is vast, a testament to our abiliy to adapt on a case by case basis. We operate on an international level and have been involved in investigations in areas such as the Persian Gulf and the Balkans. Some of our most prominent clients have been members of various provincial and federal governments as well as Fortune 500 company executives. Our extensive list of services inludes but is not limited to background and profile checks on possible business partners, underwater investigations, and domestic investigations.